When we think of the centre of train based transport in Sydney, most of us today immediately think of Central Station. Yet once, before Central Station even existed, another station was at the heart of Sydney transport. This station, originally known as Cleveland Sydney Station is better known as Redfern. 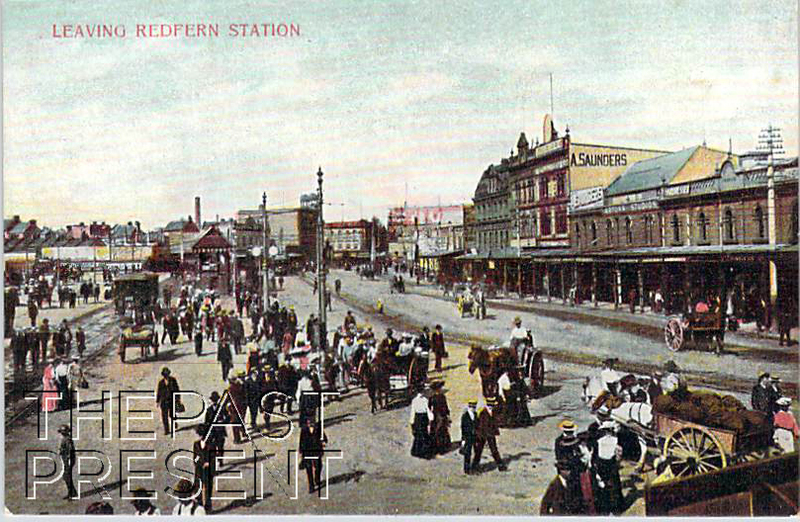 Redfern Station has its origins in 1855 when a simple station with a single wooden platform and corrugated iron shed was built. This simple and rather humble station was the first terminal station in Sydney. In 1856 the station was slightly upgraded with an engine shed, carriage shed and goods shed built at the site, and as time marched on the station continued to be expanded in order to deal with an ever expanding railway network. By 1874, a grander and more appropriate building and station had been built to accommodate the important Sydney Terminal Station. The station was designed by the famous NSW Government Railways Chief Engineer, John Whitton and construction of the grand new building began in 1871. The new station was built using both brick and stone and was considered, at the time, one of the most beautiful public buildings in Sydney. Unfortunately, the beautiful building could not hope to cope with the ever expanding railway network and its patrons. The increasing length of trains reduced the effectiveness of the platforms, the site was congested, and the station was unable to truly cope with the 25 million passengers who passed through it in 1899 alone! In addition, passengers who were traveling to the city itself had to disembark from the train and transfer to trams or horse and carriage and then travel through the busy streets around the station and on to the city. Of course, this led to the area around the station itself becoming increasingly congested and unpleasant. By 1900, passengers and crew both heartily disliked the station. Today, the beautiful and historic station continues to operate, and indeed is the closest station to Sydney University. It now offers a much more pleasant experience! Come back next week to find out about Central Station – the station which replaced the despised Redfern Terminus. This entry was posted in New South Wales, Sydney Suburbs and tagged 1910s, buildings, government, industry, postcard collection, tourism, transport.